As a landlord, you cannot escape the complexities and risks that come with owning a rental home. Unfortunately, collections and evictions are inherently a part of doing business in the rental industry. But when you partner with professional property management, Sacramento, CA, rental investing is made easier. The team at Real Property Management SAC-METRO wants to see you succeed and knows how to help you avoid legal pitfalls and costly mistakes. 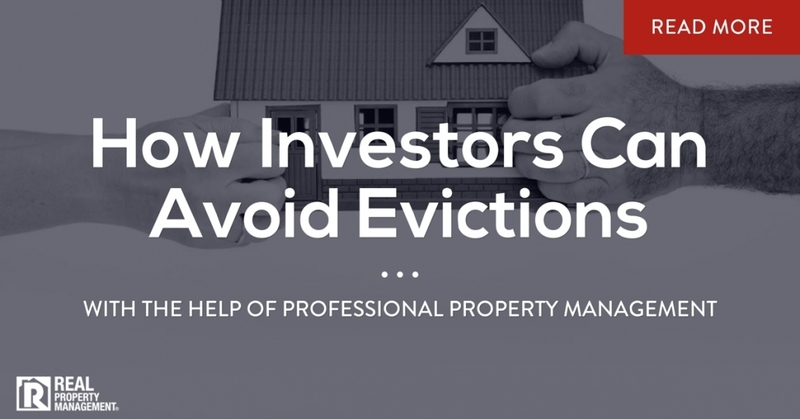 To be a profitable rental property investor, you need to avoid evictions. The added stress of dealing with an eviction is just the tip of the iceberg. Evictions not only hurt your cash flow but also cost you time and money. At Real Property Management SAC-METRO, we use proven processes to help prevent evictions, and meanwhile, get you a better return on your investment property. Thorough Tenant Screening Process – It all begins with finding qualified tenants. Securing reliable and dependable tenants gives you the best chance of receiving a rent payment on time and in full every month. Placing poorly qualified tenants tends to lead to payment delays, property damage, increased vacancies, and a higher likelihood of an eviction. At Real Property Management SAC-METRO, our tenant application process is designed to help you find quality tenants. We require an application for every potential tenant over the age of 18. We verify employment and that the combined income is at least three times the monthly rent price. We conduct a credit check. This is a simple way to see if tenants have a proven history of following through on their financial obligations and whether they’ve had any evictions or judgments made against them in the past. We complete a background check. A criminal check allows you to see if there is a history of drugs, theft, violence, or sexual offense. We look at the previous two years of rental history. There is no better resource than a prior landlord to tell you their experience with a tenant. Online Payments – Real Property Management SAC-METRO makes paying rent easy and convenient. Tenants use a personal online portal to submit rent payments. Using an online system benefits tenants by allowing them to pay rent any time of the day or night, anywhere in the world. Plus, owners have access to rent payments sooner since the funds are ACH direct-deposited into their account. Automated Collections Process – We enforce a strict rent payment cycle. While we always work to resolve any financial matters promptly, we also make sure to comply with all legal regulations. Our automated collections process moves as quickly as the law allows. We provide warnings and notices to tenants that are required by law before pursuing an eviction. Our in-house legal team knows how to correctly maneuver through the eviction process, and strives to protect you as a homeowner from the moment a rent payment is missed. Clear and Concise Lease Contract – It is best to let your tenants know from the very start what is expected of them. This is best accomplished by providing a well-written rental lease agreement that explains your firm-but-fair rent policies. Tenants will know beforehand what will happen if they miss a rent payment, or what can lead to an eviction such as property damage or not complying with the lease contract. Laws and Regulations – If you find yourself going through an eviction, it is essential to follow all federal, state, and local laws and regulations. When partnering with Real Property Management SAC-METRO as your professional property management, Sacramento, CA, landlords are guaranteed help through every step of the eviction process. Evictions are lengthy and expensive. Contested evictions are even more drawn out. Mistakes can lead to further delays and stiff financial penalties. You can rely on Real Property Management SAC-METRO to protect you as a property owner during a legal battle. Evictions are typically frustrating. Although they take an emotional toll, it is vital for a landlord to remain level-headed and respectful through the process. Threatening tenants or using unethical collection policies can lead to a lawsuit. You must approach the situation as a business matter, not a personal matter. But you don’t need to tackle the eviction process alone. Dealing with problem tenants can be downright tricky. The legal experts at Real Property Management SAC-METRO can help you avoid any serious legal implications of an eviction. Not all property management companies are created equal. As a leader in property management, Sacramento, CA, investors can expect the best from Real Property Management SAC-METRO. We use efficient, technology-driven processes that help you succeed as a rental property owner. Leave behind the everyday hassles of being a landlord and call Real Property Management SAC-METRO today.